Submit Comment for Mileage reduction when towing with a 32 foot Class A with a big Ford gas engine. 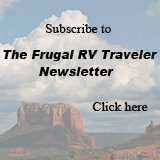 Mileage reduction when towing with a 32 foot Class A with a big Ford gas engine. Return to Mileage reduction when towing with a 32 foot Class A with a big Ford gas engine..